Projects – Xiao-Feng Xie, Ph.D. 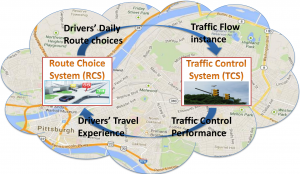 It is a real-time, adaptive traffic control system that optimally schedules dynamic traffic flows in complex road networks, by combining traffic theory with artificial intelligence (AI). 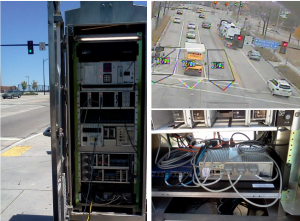 The deployment of smart traffic signals in a real-world road network achieved over 25% reduction in travel time. This system was listed as 25 Great Things about computer science at Carnegie Mellon. We focus on accommodating pedestrians and optimizing the delay tradeoff between vehicles and pedestrians, based on real-time and statistics of pushbutton activation records. Simulation results and field tests were then performed on a real-world road network, to demonstrate that the algorithm can effectively reduce pedestrian delay without significantly increasing vehicle delay. 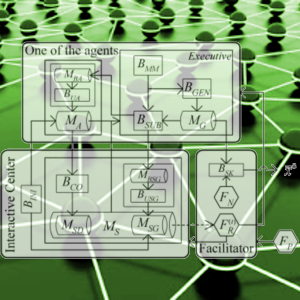 A unified agent-based framework is realized for including different route choice models with a probabilistic sequential decision-making process. Within this framework, decentralized users might avoid the congestion effect as the system evolves towards the system optimal. Together with adaptive traffic control, the framework can further reduce the user travel time significantly. 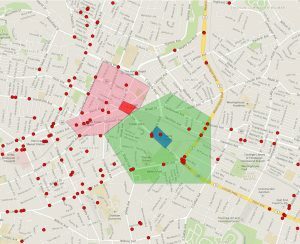 We present a study combining participatory and physical sensing data, based on 3.4 million checkins and 125 million vehicle records collected in urban area, to improve urban mobility applications such as anomaly traffic detection and reasoning, traffic information extraction, and traffic demand analysis. The CGO system consists of a group of agents cooperating with their peers in a sharing environment for finding high-quality solution(s). Based on a user-oriented development framework, different CGO cases that representing for complex optimization algorithms can be effectively defined by a script assembling over instances of competent algorithmic components in an adaptive toolbox. The algorithmic space can be easily evolving by adaptively accumulating competent components. Some algorithms have achieved state-of-the-art performance for hard combinatorial optimization problems, e.g., Traveling Salesman Problem (TSP), Graph Coloring (GCP), Quadratic Knapsack Problem (QKP), Flowshop Scheduling (FSP), and Quadratic Assignment Problem (QAP), etc. The SCO algorithm is a population-based metaheuristic optimization algorithm based on the social cognitive theory. It has been used for solving continuous optimization, integer programming, and combinatorial optimization problems. It has been incorporated into the NLPSolver extension (developed by Sun Microsystems Inc) of Calc in Apache OpenOffice. Dissipative particle swarm optimization (DPSO) is developed according to the self-organization of dissipative structure. The negative entropy is introduced to construct an opening dissipative system that is far-from-equilibrium so as to driving the irreversible evolution process with better fitness. The code is provided in our Code Library. DEPSO, or called DEPS, is an algorithm for (constrained) numerical optimization problem (NOP). DEPSO combines the advantages of Particle Swarm Optimization (PSO) and Differential Evolution (DE). It is incorporated into cooperative group optimization (CGO) system. It has been incorporated into the NLPSolver extension (developed by Sun Microsystems Inc) of Calc in Apache OpenOffice. This is a Polymath project in collaboration with a team of top mathematicians. My role was in developing algorithms to improve the records for bounded gaps between primes. The project produced two research papers (A | B). 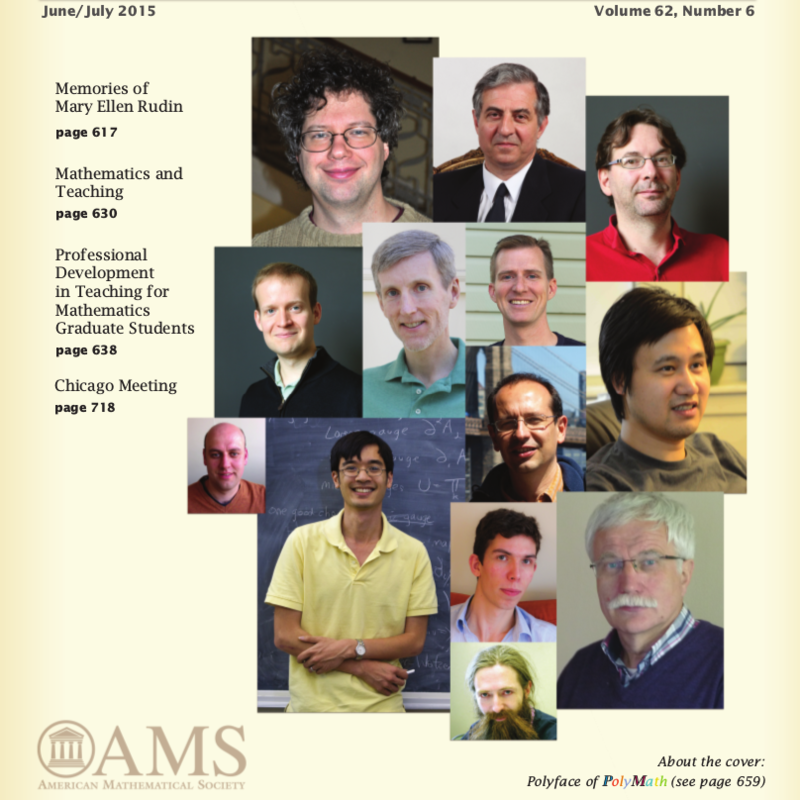 The team work was featured on the cover of Notices of the AMS, the most widely read mathematical journal. The problem is to solve the Magic Square Problem, a combinatorial optimization problem, using modern heuristic methods. Here the constrained version stipulates that the solution must have a pre-defined contiguous sub-matrix. As the 2nd runner-up, this program solved the constrained version of 400 x 400 magic square within a minute in an International Optimisation Competition. Nonlinear programming is required for many real-world problems with more complex constraints. The NLPSolver (Solver for Nonlinear Programming) is an extension of Calc in Apache OpenOffice. It includes two of my algorithms: DEPSO and Social Cognitive Optimization (SCO), which can handle continuous and integer variables as well as nonlinear constraints. 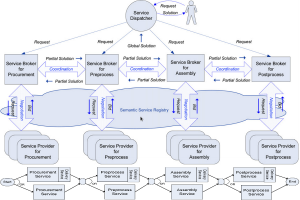 This is an agent-mediated approach to on-demand e-business supply chain integration. Each agent works as a service broker, exploring individual service decisions as well as interacting with each other for achieving compatibility and coherence among the decisions of all services. 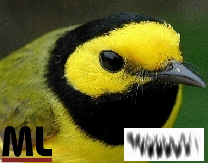 This is a machine learning (ML) project in collaboration with the Carnegie Museum of Natural History, to identify bird species from continuous field audio recordings, for studying the patterns of migratory songbirds and gaining a better understanding about the climate and ecological changes in the world. The Accelicon Model Quality Assurance (MQA) is automated and customizable circuit model library validation software for advanced technologies. It has become the industry standard for circuit model acceptance and signoff and is widely adopted by leading technology companies. Driver distraction and fatigue are among the major road risk factors associated with safety critical incidents. 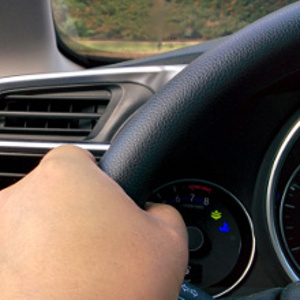 To improving the detection accuracy, the system considers a fusion method utilizing multiple non-intrusive sensing modes, including driver behavioral measures (through computer vision), driving style based measures (through CAN bus and detection sensors), and driver physiological measures (through non-contacting and wearable devices).